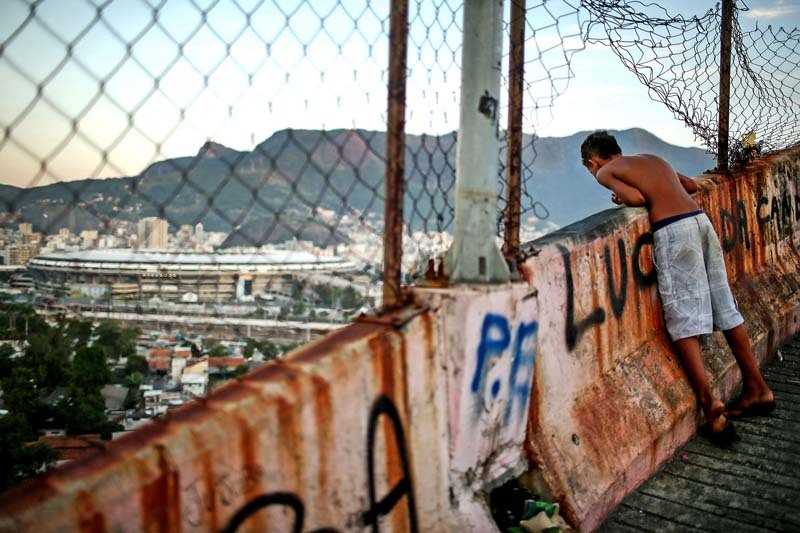 A boy looks out for a fallen kite as kids fly kites in the Mangueira community, or 'favela', which overlooks famed Maracana Stadium on June 5, 2014 in Rio de Janeiro, Brazil. Maracana hosted seven World Cup matches yet most residents of Mangueira weren't able to attend due to high ticket prices. Anti-World Cup protesters often chanted, "World Cup for Whom?" and questioned why monies lavished on the games weren't spent on more necessary social programs.